Valencia CF: Nicolas Otamendi to join Valencia CF? 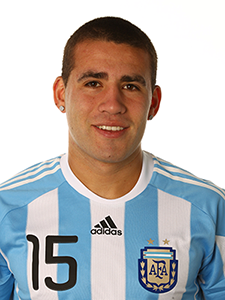 Nicolas Otamendi to join Valencia CF? Nicolás Hernán Gonzalo Otamendi who currently plays for FC Porto is on the verge of signing a contract with Valencia CF and joining the ranks of Valencia CF. The management wants a better defense, which has been pointed as one of the weakest links in the team and so they are trying to bring Nicolas Otamendi to Valencia CF and solidify and strengthen the defense. Manchester United is said to be interested in the player as well, but they are a bit cash strapped at the moment after the signing of former Valencia CF player Juan Mata to their ranks for over 40 million euros. It is said that Nicolas Otamendi prefers Valencia CF since he is to almost certainly get guaranteed time and the football is similar to the one played in Portugal, so the transition would be easier for him. We'll have to wait and see though, I do think he is going to be a strong reinforcement if he arrives in Valencia CF.